Home / HORROR FILMS / Watch the Full Official Trailer of "The Taking of Deborah Logan" in cinemas February 11! 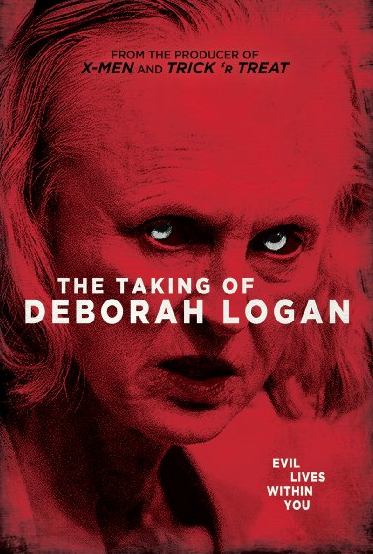 Watch the Full Official Trailer of "The Taking of Deborah Logan" in cinemas February 11! The Taking of Deborah Logan is a 2014 independent American horror film and the feature film directorial debut of Adam Robitel, written by Robitel and co-writer Gavin Heffernan. The film stars Jill Larson, Anne Ramsay, and Michelle Ang.It is set in the fictional town of Exuma, Virginia, and tells the story of a documentary crew making a film about Alzheimer's patients who uncover something sinister while documenting a woman who suffers from the disease. The film was produced by Jeff Rice and Bryan Singer, and showing in Philippine cinemas February 11!